UPDATED 3/18/2019 9:40AM: To reflect a correction. The performance begins at 7:30pm, not 8pm. SPRINGFIELD – In “Captain Marvel,” the latest entry in the Marvel Comics cinematic universe, feminist superhero Carol Danvers vanquishes all comers with energy blasts from her blazing fists. Get ready for another marvel on March 23 when piano warrior Claire Huangci takes on bad boy Franz Liszt with the aid of the Springfield Symphony Orchestra. While I can’t promise Huangci’s fingers will incandesce, I can promise she’ll deliver a one-two punch of piano pyrotechnics, playing Liszt piano concertos Nos. 1 and 2 back-to-back. Nobody tries this. It’s trés cool that she’s doing it in the Pioneer Valley. Huangci’s been called the pianist with “the fastest fingers in the world.” That’s why we should all be there. I want to stay focused on what’s going to happen Saturday without a fussy classical music veneer, so I won’t recite Huangci’s curriculum vitae here. Suffice it to say that this American former child prodigy has matured into a virtuoso concert and recording artist of international reputation, replete with prestigious competition prizes. It’s Really, Really Hard, Huh? I pressed both conductor Rhodes and pianist D’Antonio to describe what we should know about what’s going to happen when Huangci takes the stage. Will it be superheroic? According to Rhodes, that 45 minutes is about 50 percent longer than the average concerto. “That means the same thing it means to anybody who gets on a bike and tries to go for 45 minutes. More is more,” he says. The idea for the double dose of Lizst sprouted from the creative synergy between the young pianist, who turns 30 the day before she performs in Springfield, and Maestro Rhodes, a winningly affable guy who’s no musical slouch himself. 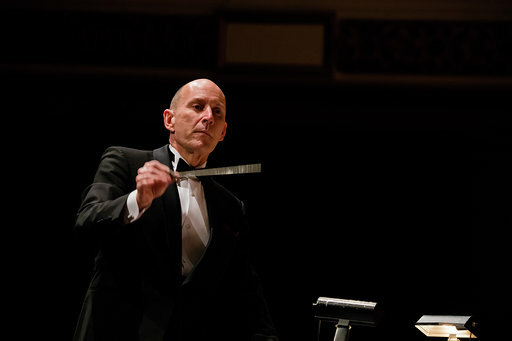 Rhodes has had a globe-trotting conducting career in concert, ballet and opera performance in the major opera houses and capitals of Europe for more than 20 years. He also conducts Boston’s innovative Pro Arte Chamber Orchestra and the Traverse Symphony Orchestra in Michigan. 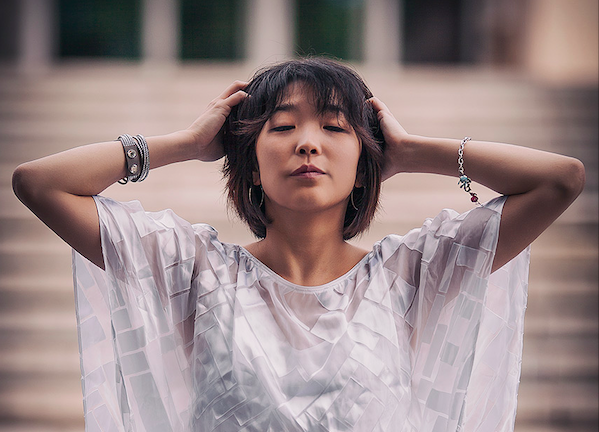 A connection to Chicopee’s Polish community resulted in what Rhodes calls a “musical partnership” with Huangci “that goes way back.” The story reveals how a new musical idea can be conceived and nourished on today’s concert circuit. Huangci partnered up with Rhodes and the SSO for Grieg in 2017 and Prokovfiev in 2018, when they also did Tchaikovksy in Michigan. What Goes Well With Liszt? Preceding Huangci and Liszt on the first half of program is “Beauty Alone,” the second movement of contemporary composer Libby Larsen’s String Symphony No. 4. With the Larsen, Rhodes continues the SSO’s 75th-season presentation of work by American women composers. Rhodes clearly digs the juxtapositions on offer. First, there’s the piquancy of Huangci, a 20th-century young woman, playing the music of what he calls a “19th-century rapscallion piano rock star.” Larsen’s work provides another contrast. “I love the synergy of what she wrote along with the Liszt pieces because they couldn’t be more diametrically opposed” in terms of their style and content, Rhodes says. He describes “Beauty Alone” as “a slow movement with lyrical, atmospheric color rather than pyrotechnics, whereas Liszt has pyrotechnics to burn.” “No pun intended,” he hastens to add – and I totally believe that pun sneaked up on him. Despite the contrasts, all the music in this concert has one descriptor in common. “When I chose these works, I was charmed by the poetry that it’s the beauty alone that brings them together,” the maestro reflects. The second half of the program offers a fourth thing of beauty, Beethoven’s familiar Symphony No. 5. (You know the opening notes – “dum, dum, dum, dum,” aka “fate knocking.”) During the SSO’s 75th season, Rhodes has been cataloging the pillars of orchestral music. That means “of course, there’s going to be Beethoven,” he says. “There are a thousand reasons I might cite for that. One that’s most easily identifiable in a performance and the one that makes a lasting impression – and one of the reasons why the piece is still so popular, so profound, so moving – is that it is the first symphony that has a journey. The Springfield Symphony is in concert at 7:30pm Saturday, March 23, at Springfield Symphony Hall, 34 Court St, Springfield. Find ticket information here.